Arrested for DUI? You need to know your rights... NOW! DUI ATTORNEY IS NOT TO JUDGE YOU BUT TO HELP YOU! STOPPED FOR A DUI? 10 THINGS YOU NEED TO KNOW! Don’t plead guilty to DUI; no matter how strong you think the evidence against you might be! The first thing anyone should do after a DUI arrest in Los Angeles, CA is to contact an experienced DUI attorney for legal advice. An expert will listen to the facts of your case and give you an opinion on how strong or weak the case is. If you or your loved one is arrested for DUI, call at ‎‎(818) 921 7744 anytime to talk directly to Affordable Los Angeles DUI attorney or contact us online to schedule a free consultation. We provide quality representation at an affordable price and will perform a complimentary case review. Great payment plans will allow you to hire a very experienced (13 years of DUI defense experience) DUI Attorney! Alex has helped me through some very tough times. He lets you know what he can do for you on consultation. And I always got reliable answers and advice, which led to quality results. Alex is definitely my number one when it comes to legal matters! There is no doubt in my mind that having Alex Andryuschenko represent you will be the best decision! While we defend you, we will guide you through this stressful legal process in a most compassionate and professional manner. We will explain the legal procedure and will help protect you from the police and the courts, often, without you having to go to court or to the driver safety office. Even if your case is not a good candidate for a trial, we can effectively argue for a reduced punishment for drunk driving and get the best possible deal under the circumstances, including a wet reckless or a dry reckless plea. Our focus is on multiple DUI offenses including felony DUI, second offense DUI and third offense DUI. Our office handled multiple driving without valid license cases, drugs DUI cases and DUI with injury cases. If you are a minor, special rules apply to you and you can be prosecuted under zero tolerance policy license suspension or a minor DUI or underage DUI statutes. We can help you complete a critical need hearing and apply for reinstatement of your driving privilege or to get a restricted license. Our office works with IID installers who can help you make a process simple and easy. 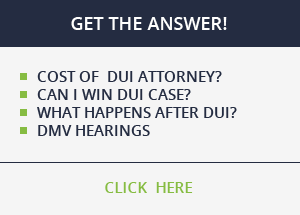 Contact our office for any DUI related questions or help with your California driver license. We also do felony reductions to misdemeanors under Penal Code section 17b and expungements under Penal Code section 1203.4. STOPPED FOR A DUI IN LOS ANGELES? 10 THINGS YOU NEED TO KNOW! Do not submit to the field sobriety test. Do not be a jerk to the officer but be firm in your refusal to do a voluntary test. Do not refuse a chemical test at the station. It’s required by law, but there is no requirement to the Preliminary Alcohol Screening test (pre-arrest). Do as little as possible – to limit officer’s observations. Talk as little as possible – to limit the officer’s observation. Look at the officer as little as possible – to limit the officer’s observations. If a police came to you when you are not driving, do not attempt to drive away. If stopped prior to officer’s arrival, move away from the driver seat and do not leave the keys in the ignition. Drunk driving is considered by many to be a very serious offense, with California having some of the harshest penalties for drunk driving it in the nation. In Los Angeles, even first offense DUI drivers face possible jail time, community service, DUI probation, mandatory alcohol education program, high fines, court fees, IID (ignition interlock device), and a driver’s license suspension. If you or someone you know is arrested for driving under the influence, please contact our office to get immediate access to a skilled drunk driving attorney. We pride ourselves to be one of the best DUI Defense firms in Los Angeles. Our goal is to get dismissals of all drunk driving charges in the Superior court and to win administrative per se DMV hearings held in one of the DMV Driver Safety offices. 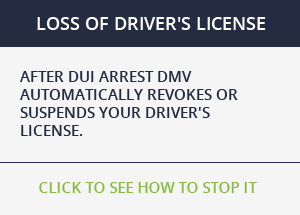 A DMV hearing, if not requested within ten days of arrest will most likely cause an automatic driver’s license suspension or a complete revocation of the driving privilege. After the arrest, a driver has only 10 days, that might include weekends and holidays, to request an administrative per se DMV hearing. Failure to request this hearing might not only cause a license suspension or revocation but it might also prejudice your case in court. The reasons have to do with tactical approach our Los Angeles DUI firm takes while defending citizens against DUI charges. Often, we are able to get helpful information from the arresting officers at the DMV hearing and then use that information to get dismissals of some or all criminal charges in court. Skilled and Affordable Los Angeles DUI Attorney will use the interplay between the DMV hearing and the Court hearing to his client’s advantage, often using one to settle the other. Please do not ignore the DMV hearing and have our best DUI defense attorney help you fight the possible suspension or revocation of the driving privilege. The court and the DMV processes are very different from each other. The DMV process allows a single employee of the DMV, not an attorney, to make a decision that will affect the accused throughout the rest of his or her life. Moreover, the hearing can be based on a single 4-page document that will be used instead of testimony to take driver’s license away. In comparison, the court procedure involves constitutional and statutory guarantees that are designed to protect the rights of the accused. The court process involves several distinct stages that can be each utilized to fight the DUI charges. Skilled DUI attorney can file motions to dismiss the DUI charges based on a violation of constitutional rights, negotiate with the prosecutor for a dismissal of charges or for a more lenient sentence, or to convince the jury that you are innocent of the accusations. We are skilled in winning administrative per se DMV hearings (APS DMV Hearing) and the criminal court cases. We will provide quality representation to show the judge, the prosecutor and the jury the factors in mitigation, any failures to follow crucial procedure by police, violation of your constitutional rights, and any incorrect science that is the basis of so many DUI prosecutions. Attorneys in our firm are skilled in a scientific approach to Los Angeles DUI defense, where we can effectively show that the prosecution is not relying on the proper scientific process to prove their DUI case against you. We utilize experts that can convincingly testify that your blood alcohol level was below the legal alcohol limit or that the level can not be determined with any reliable accuracy. We are skilled in cross-examining the government experts and showing that the field sobriety tests, used by police to arrest drivers suspected of a DUI, are extremely unreliable and have a high error rate. Defending DUI cases is an uphill battle. That’s why you need to hire one of the best Los Angeles DUI Attorney to help you fight your case. DUI defense is unique because it involves a combination of legal and scientific issues. DUI defense is also unique because evidence of impairment is usually circumstantial and based on some arguably objective signs of intoxication and a blood alcohol level. The jury needs an aggressive and likable attorney who can overcome their bias against a blood alcohol level that is higher than the legal limit. It takes skills and experience of Defending DUI cases to poke holes in what seems like a rock solid case presented by supposedly unbiased government witnesses from the crime labs and the police departments. Our approach to DUI defense is to attack the legality of the traffic stop questing if there is a vehicle code violation or a valid DUI checkpoint stop. Next, we attack the legality of the DUI arrest because only four of several DUI field sobriety tests are scientifically tested. Once we attack the field sobriety test by questioning the training and the observation of the police officer every step of the way, we move to the scientific aspect of DUI defense and focus our attention on the criminalist. For example, CHP recognizes that a high percentage of individual will display symptoms of impairment without being impaired on a horizontal gaze nystagmus test. We scrutinize in details every field sobriety test and point out that they are not reliable. We question the reliability of the preliminary alcohol screening test and accuracy of blood alcohol level. For example, many machines can malfunction or the blood can ferment and produce alcohol, causing an increase in the blood alcohol level. The price of hiring a professional DUI defense attorney to help you fight your case in the Superior Court and/or at the Administrative Per se hearing varies between practitioners. It is not uncommon to hear that some lawyers will charge as little as $500.00 to represent defendants in court. On the other hand, it is also possible to hire an attorney who values his services extremely high and to pay $10,000.00 or more for even the pretrial representation. Typically, it is not advisable to hire attorneys on the low end of the price range mostly because they will be either inexperience or not motivated to litigate the criminal case to get the best possible result for his or her clients. On the other hand, on the high end of the prices ranges, the attorney might be expensive simply because he or she is passing the high overhead costs to the clients. Because of our ability to keep overhead costs low, Los Angeles DUI Attorney is able to pass the savings to our clients and to offer quality representation at an affordable price. We pride ourselves on doing the very best we can to help our clients avoid criminal convictions or, when that is not feasible, to negotiate the very best plea bargaining deal possible. Not only we are experts in Los Angeles DUI defense, but we also do it at a very competitive price. We will consider a unique financial situation of our potential clients to afford a private attorney and will give substantial discounts based on the ability to pay. 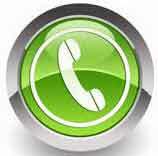 We do accept all forms of payment and offer great payment plans with nominal down payments. DUI cases can be won even when police test blood alcohol level and it is above the legal limit. In our practice, Los Angeles DUI Attorney are able to achieve not only dismissals of all charges and acquittals in trial courts, but also to negotiate dispositions that will save our clients their driving privileges, their freedoms, and their jobs. While we negotiate criminal case dispositions, we aim to negotiate results with the least criminal record, while being extremely informative to our clients and aggressive in the representation. Most DUI cases are very fact specific and involve a multitude of clues and field sobriety tests that the arresting police officers requested suspects to do. The police can, for example, stop a driver suspected of a DUI without a good reason and might lie in the police report to help their case. We are able to fight these cases through motions to disclose previous instances of lying or through motions challenging a legality of the stop. In other cases, the police might wrongfully decide that you were the driver of a vehicle and is, therefore, guilty of a DUI. We are often able to show the prosecutor that they do not have sufficient evidence to proceed to trial and get a dismissal of DUI charges based on insufficient evidence. Lastly, the police will often use unreliable scientific methods and techniques to measure blood alcohol level of drivers suspected of a drunk driving in Los Angeles. Experienced Los Angeles DUI Attorney can often point out to the prosecutors and judges the unreliability of the scientific method used and to show flaws in a math used by the government’s experts in determining blood alcohol level at the time of driving. In short, we aggressively fight judges and prosecutor every step of the way in getting the best deals for our clients. In California, after a DUI case, the arresting officer prepares a police report and submits it to the prosecutor, who then drafts a complaint and files it with the Superior Court. Although some agencies do direct filing, most will rely on the prosecutor to review and file the criminal case against an individual suspected of a DUI. Usually, the arrested person is not given the police report until the day he is scheduled to come to court. On the day of the arrest, the arresting officer will also hand you a citation, commonly known as “a ticket”, with a day of the appearance in the Superior Court and the location of the Courthouse. The prosecutor who files the criminal DUI complaint will typically file two separate charges, a violation of California Vehicle Code section 23152(a) and a violation of California Vehicle Code section 23152(b). A violation of California Vehicle Code section 23152(a), otherwise known, as generic DUI, accuses the defendant of driving when a person is under the influence of a drug or alcohol. A violation of California Vehicle Code section 23152(b), otherwise knows, as 0.08% BAC, accuses the defendant of driving with blood alcohol level of 0.08% or more. First appearance in the Superior Court is called an “arraignment”, during which the defendant can be given a copy of the complaint and the police report. In California, defendants have the right to have a trial on a misdemeanor case within 45 days of the arraignment as long as they are not in custody, and within 30 days if they are in custody. Most cases, however, do not go to trial within the 45 days and instead are continued between 90 days to several months and until the prosecutor and the defendant are able to get ready for trial or until they can work out a plea bargaining deal. Between the arraignment and the trial, the criminal case might have several court dates, each of them called a “pretrial”. During pretrial hearings, experienced DUI defense attorney Los Angeles tries to negotiate the best possible deal for his clients and tries to set up his case for trial. Also, experienced DUI defense lawyers will file motions for dismissal or discovery and get confirmations on a proper procedure used by the police in investigating the case and measuring the blood alcohol content.